Without the Jamborees, friendships and adventures that Scouting brings to the world it would certainly be a less colourful place. But if it wasn’t for the talent and originality of one man the Scouting movement might never have existed at all. That man was Robert Baden-Powell (1857-1941) a soldier, artist, actor and free-thinker. Best known for his spirited defence of the small South African township of Mafeking during the Boer War, he was subsequently propelled to further fame as the Founder of the Scouting movement. Scouting began outdoors where in 1907 Baden-Powell held a camp on Brownsea Island in Poole Harbour, Dorset to try out his ideas. He brought together 20 boys from a variety of backgrounds including the Boys Brigade. The success of the camp spurred him on to start up what would become a classic of the 20th century and beyond. 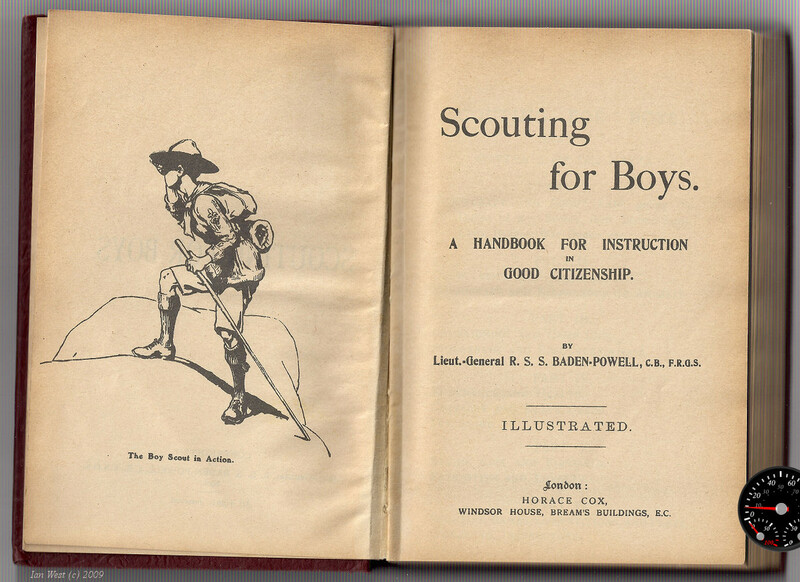 ‘Scouting for Boys’ was published in 1908 and from the start sales of the book were substantial. Interested boys soon formed themselves into Scout Patrols and as numbers grew it became clear that young people of all ages and in every country wanted to get involved. 1920 was the year of the first World Scout Jamboree at London’s Olympia where Scouts from across the world gathered to celebrate international unity and the growth of their great movement. Scouting changed over the years but continued to grow. Scouts in the UK acted as coastguards during the First World War and ran messages during the Blitz in the Second. Scouting has continued to have a positive impact on society helping deliver health, education and rebuilding programmes across the world. Girls are now as much part of the adventure as the boys. Fun, friendship and learning continue to form equal building blocks of the present day Scouting movement. As a worldwide movement Scouting can be found today in over 200 Countries and Territories comprising over 38 million Scout and Guide members. Scouting took root in Farnham at an early date. It may indeed be claimed that Farnham played a role in the very origins of scouting when an important meeting took place in 1906 at Frensham Place (now Edgeborough School). 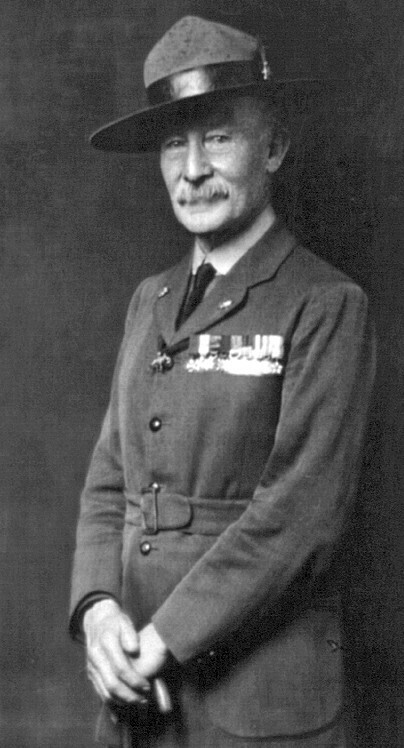 The publisher Arthur Pearson, a close friend of Baden-Powell, held a house party and a scheme to launch scouting as an organisation was formulated. 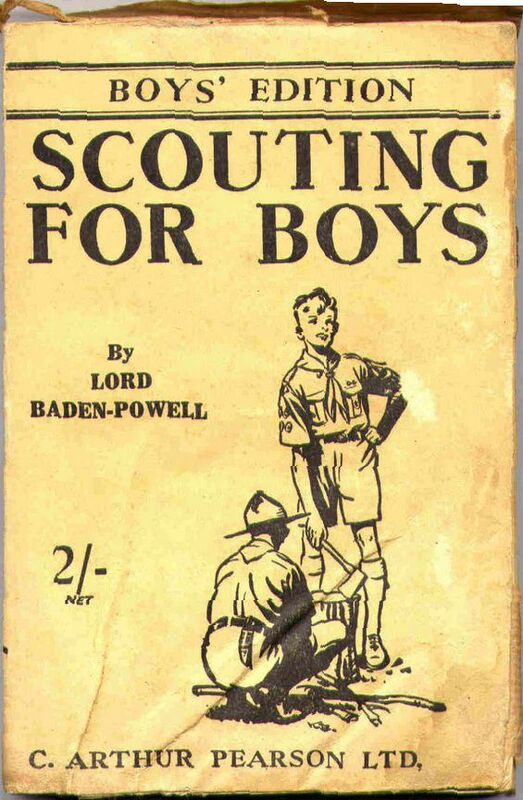 The following year Baden-Powell organised the camp at Brownsea Island and in 1908 published ‘Scouting for Boys’. 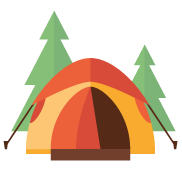 The 1907 camp and 1908 publication are generally regarded as the starting point for the Scouting movement. 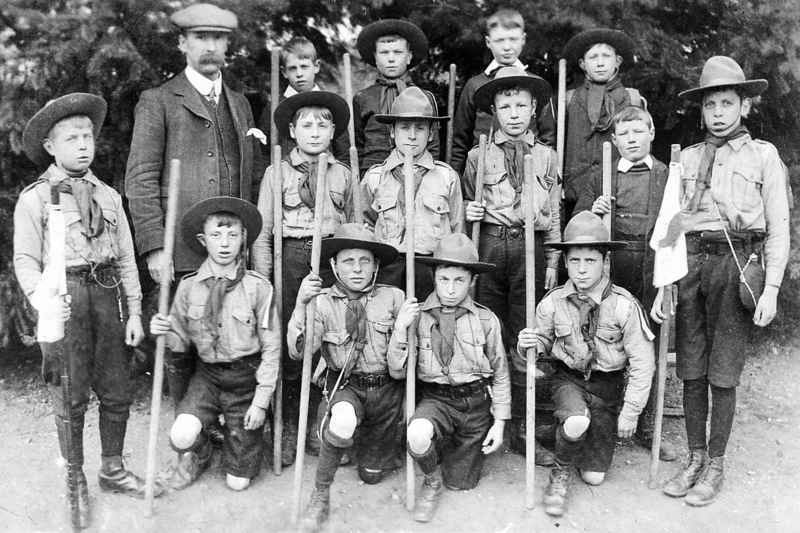 The first scout troop in Farnham almost pre-dates the official launch. It probably occurred because the father of Farnham Grammar School (FGS) pupil Cyril Kessell was a friend of Baden-Powell. Whilst recalling old days in Farnham, in 1955 Cyril told how he, together with Geoffrey Wright and Aubrey Rand, formed the first Boy Scout patrol in the Farnham area. The year was 1907 and their H.Q. was at the back of ‘Raysons’ shoe shop in The Borough. FGS members then went on to found the ‘1st Farnham Scout Group’ in 1909 which sadly disappeared as a functioning Group in the 1970’s. Its flag however remains on display in the hall at the District campsite ‘Garner’s Field’. In December 1909 the Farnham & District Scout Association agreed at a meeting at the Auction Market in South Street: “That an Association be formed to forward the Boy Scout Movement in the neighbourhood with such an Association comprising the parishes of Farnham Urban, Frensham, Farnham Rural, Churt, Dockenfield, Tongham and Seal and any adjoining Parishes expressing a desire to join”. 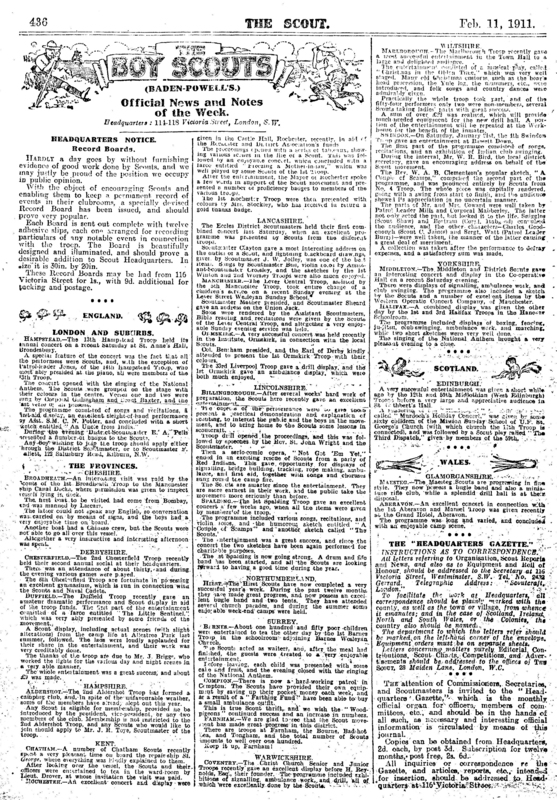 In the February 1911 edition of the ‘The Scout’ magazine it was reported: “Scouts in Farnham number over 100 members with Troops in Farnham, The Bourne, Tongham and Badshot”. The rest as they say is history. Fast forward to today where after various ups and downs over the years – with Groups forming and disbanding/changing their name, District boundary adjustments, the starting of a Scout Shop and the addition of a District Camp Site – Farnham District now comprises some 1000 members made up of the young folk and adult Leaders/Helpers who together form the various Beaver Scout, Cub Scout, Scout, Explorer Scout and Scout Network Sections. Scouting in Farnham has been around for most of the 20th century and on present form looks well set for the 21st. Click on the images to see them bigger!